Sports in Raleigh is more than just a hobby, it’s a way of life, and there are certainly plenty of sporting events to go to in the area. While the Triangle is known for its college sports – football and basketball at NC State, UNC, and Duke rule the day in these parts – there are enough other sports teams here to satisfy any Raleigh resident’s interests. 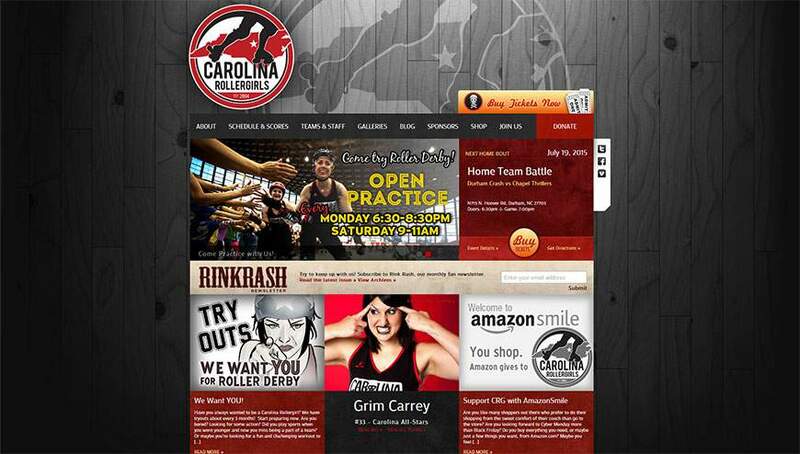 From hockey to soccer to baseball and everything in between, Raleigh (and the greater Triangle) has it all. 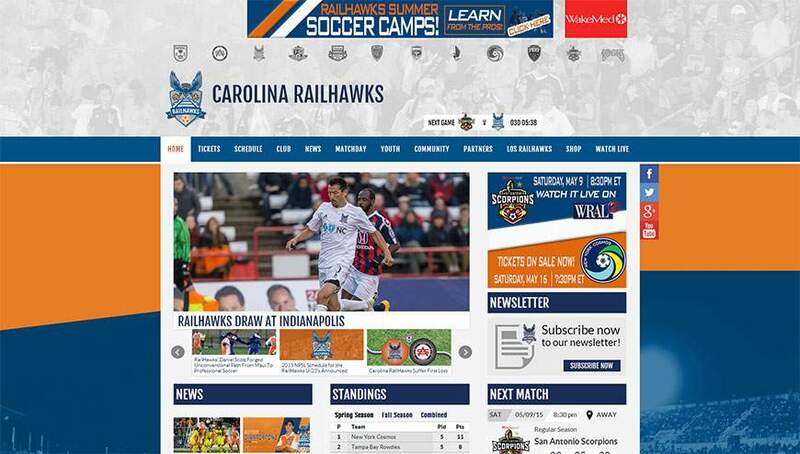 Below is a list of some of my favorite website designs from professional sports teams in Raleigh, which made my list for their unique web designs and their unique use of large-scale photography in their websites. 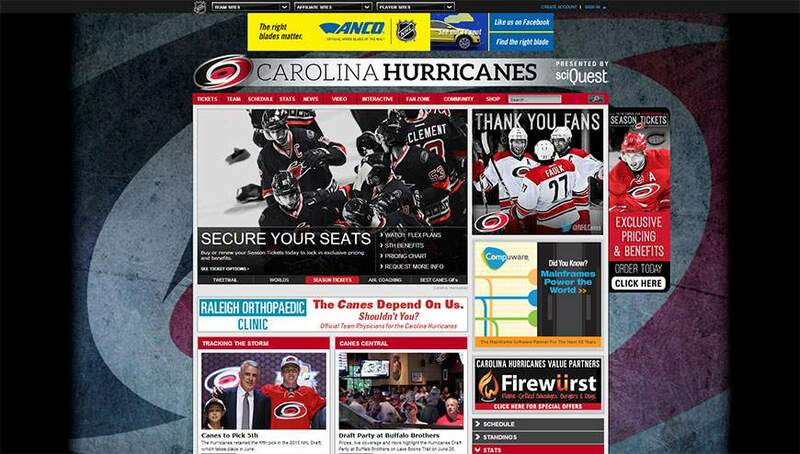 The Hurricanes are Raleigh’s only professional sports team, although it doesn’t always feel like it at times. Fans often go more to see the opposing team play, and the playoff drought currently shows no signs of letting up. Their website is relatively nice, although it’s not that unique as all NHL team websites share the same look and feel. 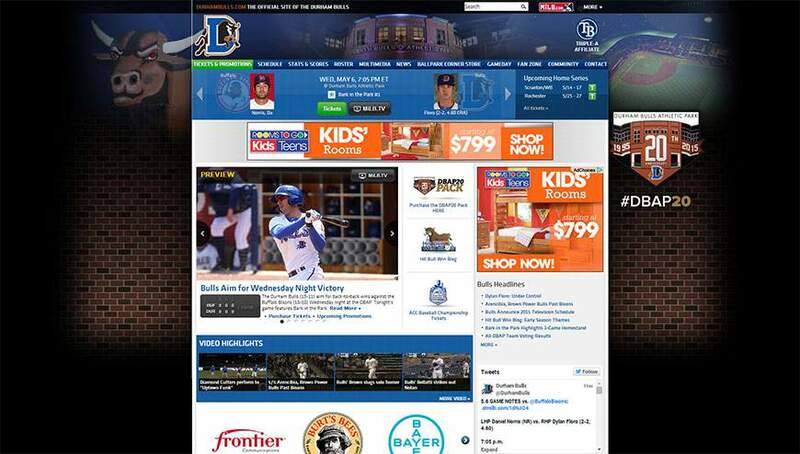 If you’ve ever seen the movie Bull Durham, you’ve heard of the Durham Bulls. 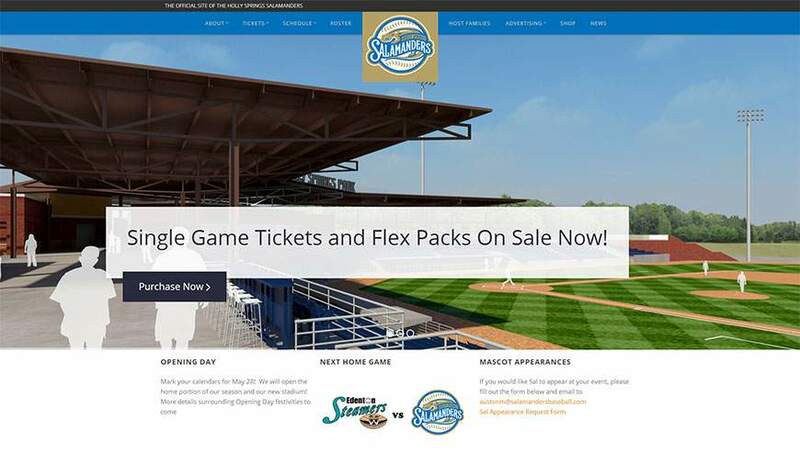 They have a beautiful ballpark – too bad I can’t say the same thing about their website. A beautiful website and one of my favorites in this design gallery. It’s not just the flat design and large photographs – the lighter color scheme is a pleasant contrast to some of the other websites in this gallery, which all feature dark color schemes and dark website designs. 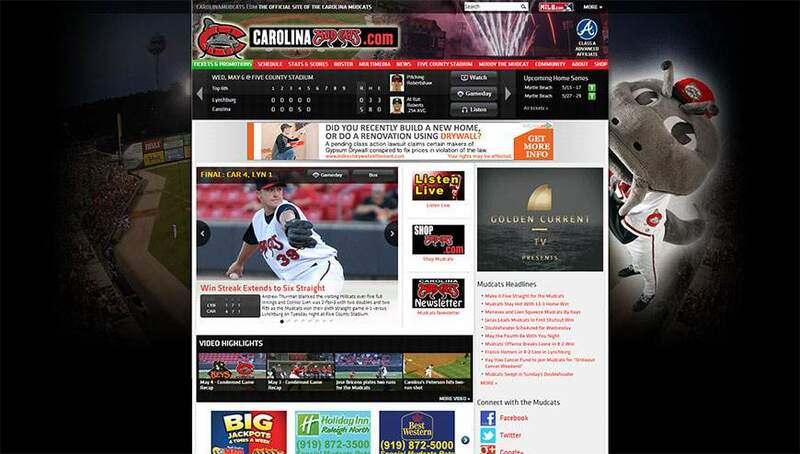 I only wish the Bulls’ and Mudcats’ websites as nice as this. 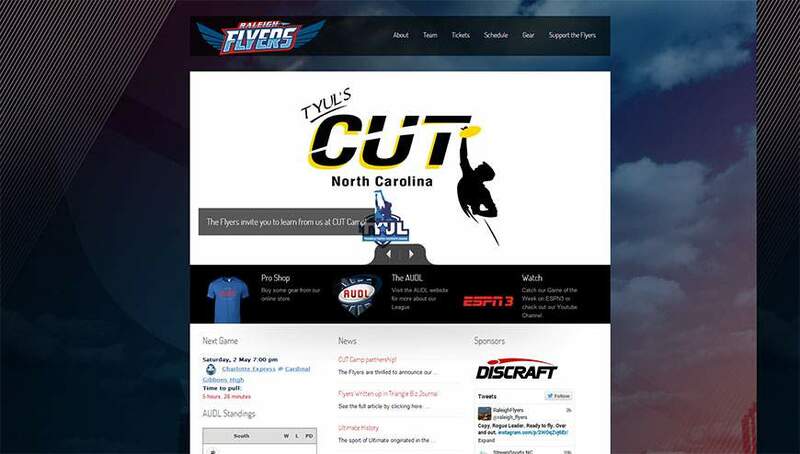 Professional ultimate frisbee? Who knew. This is easily my favorite website in this design gallery. The clean, flat design, colors, and use of photos is really quite well done.